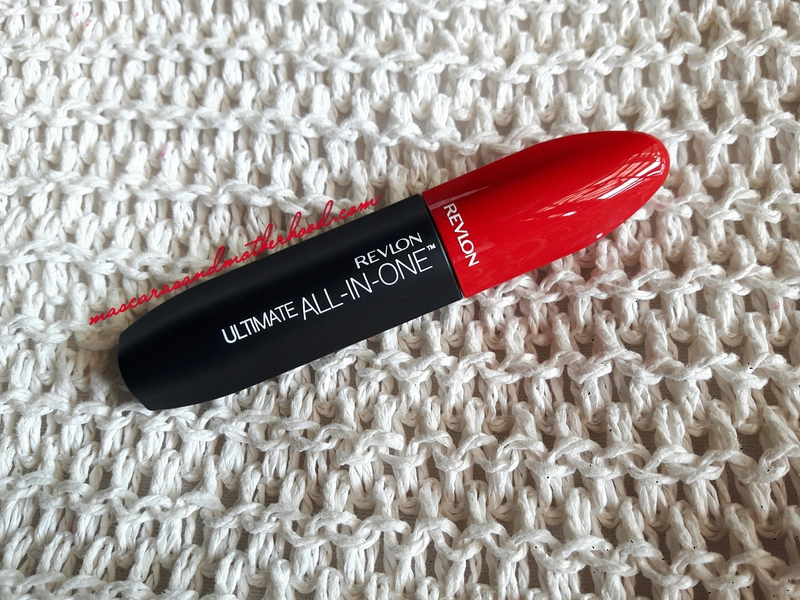 Remember REVLON ULTIMATE All-in-one mascara? Well here’s her girly-pink sister. (They are actually five of them, like the Kadarshian-Jenner sisters) “Girly-pink sister” is the black+pink REVLON Ultra Volume non-waterproof mascara in 001 Blackest Black. I’m not sure if they have shades other than Blackest Black though, as I usually go for black all the way when it comes to mascara. 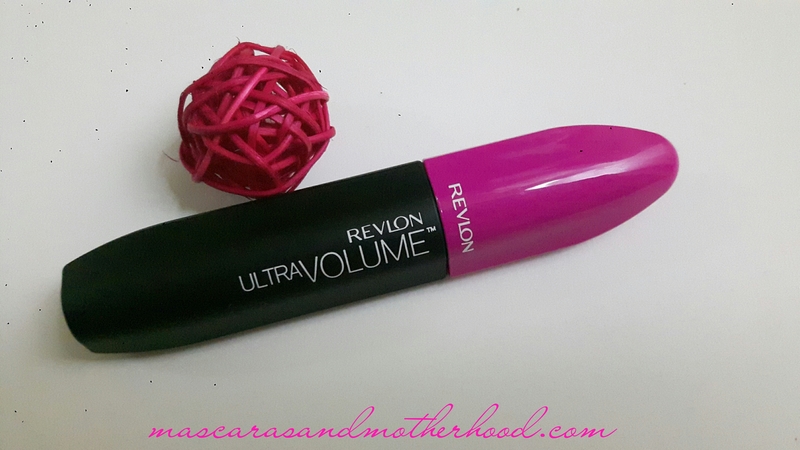 For a voluminizing mascara, this baby is pretty good at helping my lashes to appear fuller. Removing it with water isn’t much of a hassle too, although I won’t suggest it. I usually clean up my lashes with oil makeup remover, or with a makeup remover wipes. Finally! A perfect moisturizer for my crazy-imperfect skin. I’ve finally found my (moisturizer) match! It fells so good saying that, I feel like shouting it from the rooftop. If you are anything like me, you would understand how wasting a decade of your life with harsh toners and improper moisturization would result to a skin that’s challenging to care for, and imperfect to be seen. 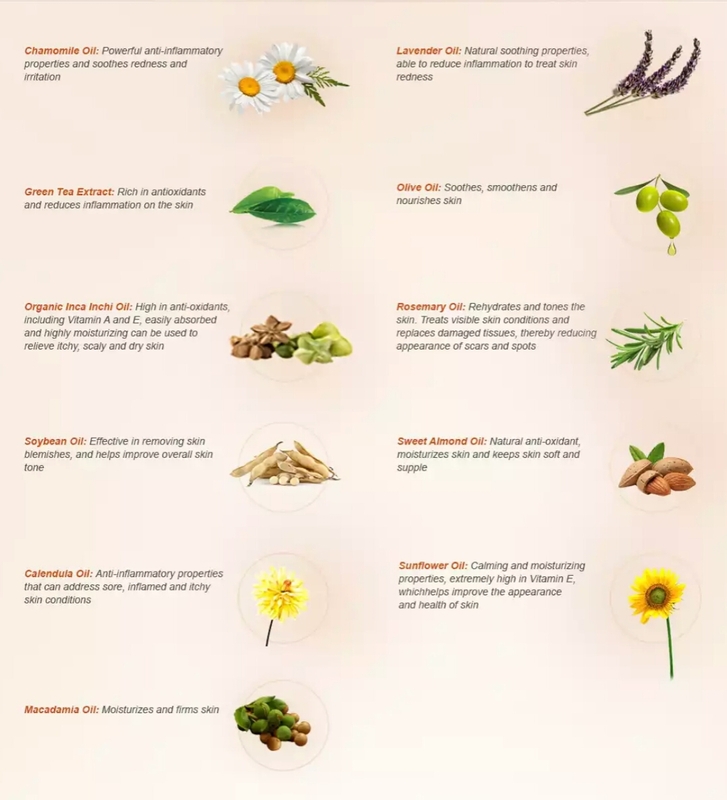 Due to years of severe acne and oily-skin problems I’d been struggling with since adolescence, I skipped moisturizer from my skincare routine for the most part of those years. Plus, back then it was just plain impossible to find a decent moisturizer that worked on my crazy-imperfect skin. All of them were either too oily or too rich for me. 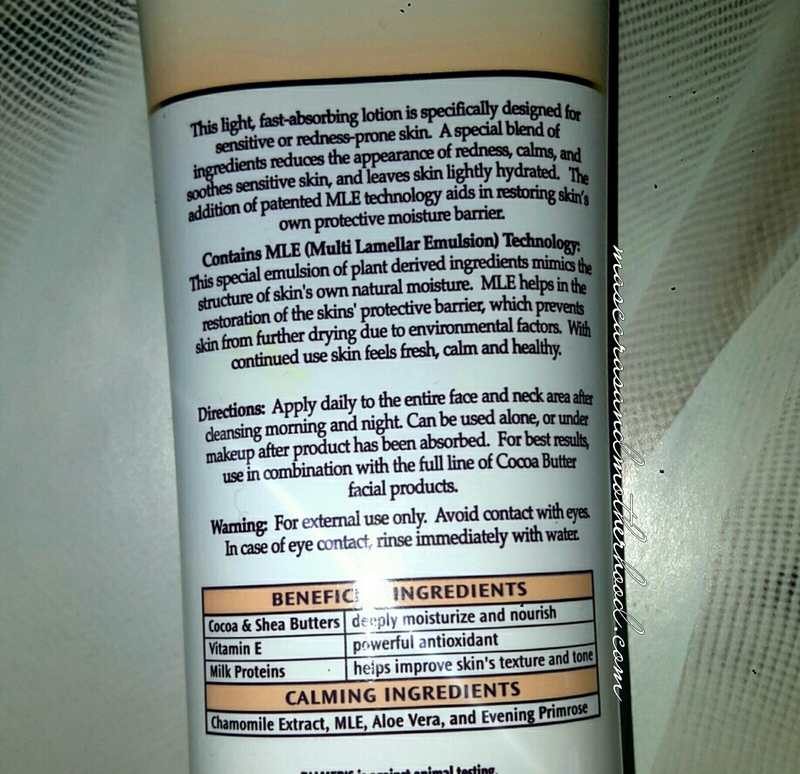 Then PALMER’S COCOA BUTTER FORMULA Daily Calming Facial Lotion came along. I remember it was one afternoon in late January, I was at Caring Pharmacy in my ‘hood trying to look out for my daughter’s shower gel. Then I saw a section filled with Palmer’s Cocoa Butter Formula products. “They have a range of skincare too?” I thought to myself as all this while I knew they were popular only for their body lotion & strechmarks lotion. I picked up Daily Calming Facial Lotion as I was quickly drawn by the words “Lightweight Moisturizer”,“Sensitive Skin” aand Fragrance Free. Whoa, that’s triple threats (or in this case, triple treats ? 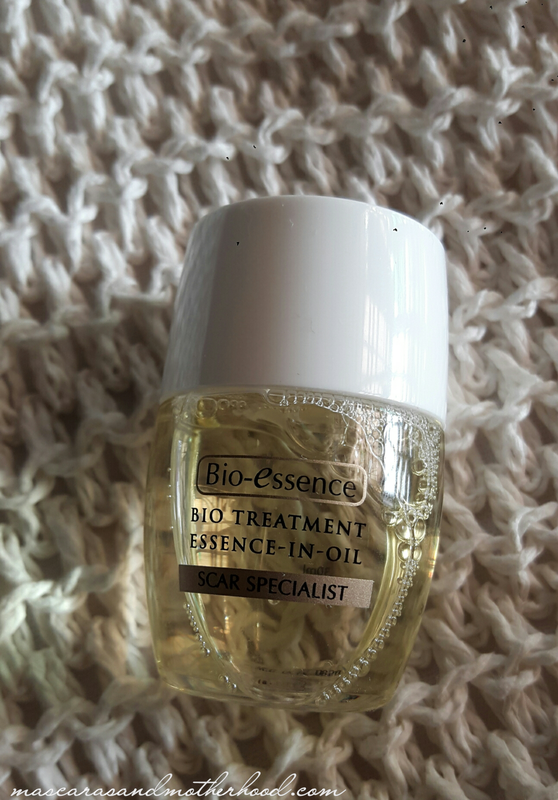 ;p ) With retail price of RM29.90 (but I bought it on sale for RM23.90) , I didn’t expect much from this product as even if it doesn’t work out (like the hundreds of moisturizers I’ve been using my whole life), at least that RM23.90 won’t sound like a lot of money wasted. But my, this baby is a gem! 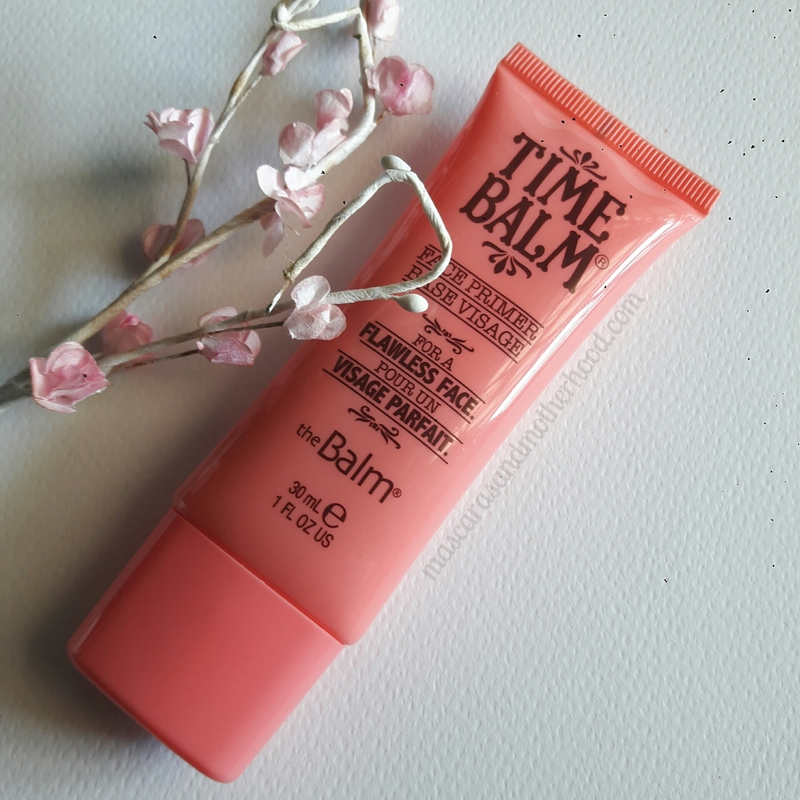 It glides on my stubborn skin and absorbs effortlessly. My skin is left feeling and looking well-moisturized throughout the night. Ending my skincare regime with this moisturizer at night before I got to bed has been my routine for the past three months, and my skin has never been decently moisturized as well as it is now. 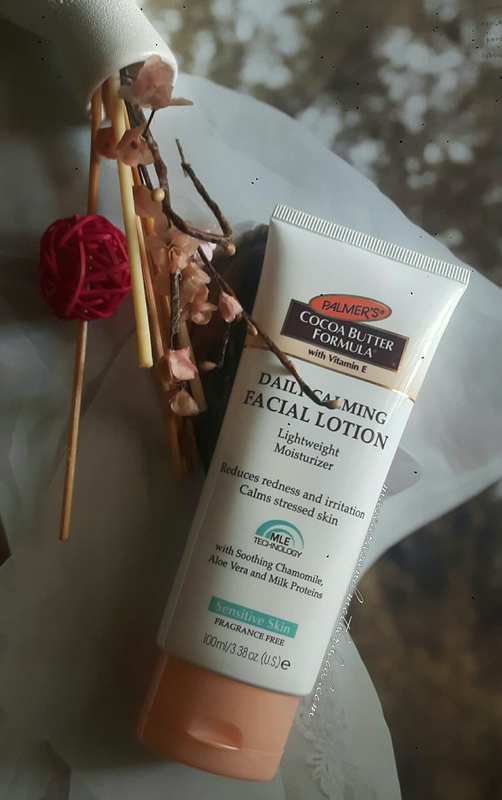 However, the only two downsides of Palmer’s Cocoa Butter Formula Daily Calming Facial Moisturizer is first; it’s not lightweight enough to be worn during the day. At least for me. I tend to sweat often and I work at a non-air conditioned workplace so I have to skip moisturizer for a my daytime skincare routine. Secondly, this lotion has a very unpleasant scent. Forget the Palmer’s Cocoa Butter Formula signature cocoa scent; it is completely abscent here and what you get is a fragrance-free, funny scent all over your face. But that’s okay. Because any product that is as respecful to my sensitive skin as this moisturizer deserved my undying lurve, baby. This ultra modern formulation glides on effortlessly to strengthen, lengthen, darken, condition, prime and per-fekt lashes. Smudge-resistant and clump-free, lash perfection gel provides natural, buildable coverage and leaves the lashes looking luscious. Can’t find the word ‘mascara‘ in the description? Neither can I. So what is the problem here? I’d say, the description itself is misleading, especially when the product’s packaging also forgot to bear the word ‘mascara’ on it, which further misleads customers into thinking that this ‘gel’ is a lash care rather than a cosmetic product. Sigh….partly I myself am to blamed for not doing a through research prior to buying this mascara. But then again, I got the SEPHORA RM30 Birthday Promo voucher to be spend in a busy December, so c’mon Sephora! Now that’s a lesson learned there, let’s get straight to the product. For RM39, I feel that it’s a decently affordable mascara. Physically it may look tiny but the amount of product is 7ml (.25 FL.OZ.). It comes in two sizes; mini (7ml) and full-sized (13ml). There are three shades available which are blu, flash and flash deluxe. Mine is flash which is their fancy name for black. As a mascara, I’m pretty much satisfied with how well it separates, curls and darkens my lashes after just one coat. (Go on to a second coat and your lashes won’t be as curled so don’t bother.) The product stays on for hours even during a hot day. The only downside is the shortness of the wand; which is pretty standard for mini or deluxe-sized mascaras. However I’m pretty sure the full-sized one doesn’t have this problem. 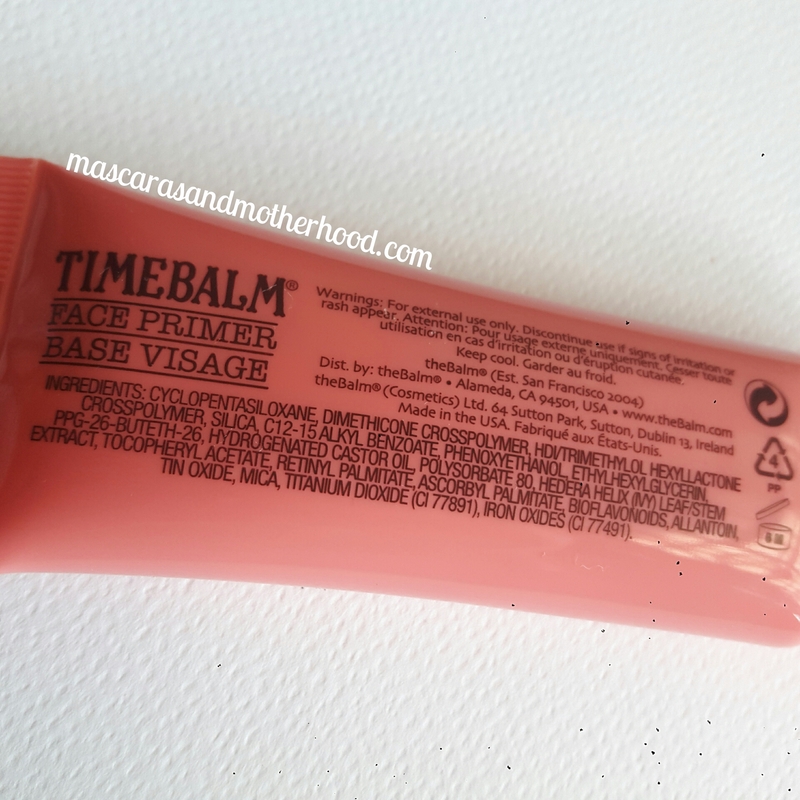 However, as a ‘primer’, like how this brand claims it to be, I don’t see nor feel any improvement on my eyelashes after three weeks of using it. Clearly, this is not a lash primer nor it is a lash serum. Just a delusional non-waterproof mascara who blows its own horn. 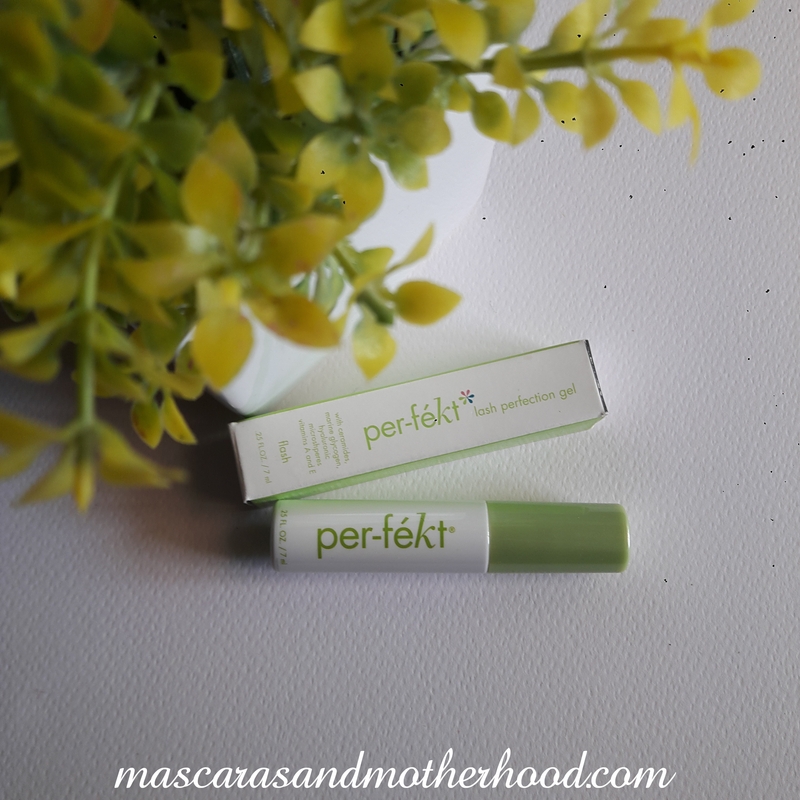 It has been awhile since my last post on a mascara, my favourite go-to makeup product. After I was done with the last mascara I’d been using for three months, off to the drugstore I went to search for another wand that hopefully, won’t leave me disappointed this time. I was aware that I don’t really use Revlon products much, so I stood before the Revlon section, and a range of contrasting black-and-colour mascaras quickly caught my eyes. There are 5 different mascaras of black+blue, black+green, black+red, black+purple and black+pink packaging all to deliver different effects on lashes. I picked up the black+red one; REVLON ULTIMATE ALL-IN-ONE mascara at about 15% less than it’s normal price of RM39.90 in Blackest Black. Packaging wise, I really love the non-traditional shape of the tube. It’s flatten as opposed to the usual cylinder mascara tubes, which makes storing of this product more effective. (doesn’t it annoy you when mascara or lipstick tubes roll off the table all the time?!) A part of the tube, the black one is velvety rubber so it leaves no visible fingerprints. 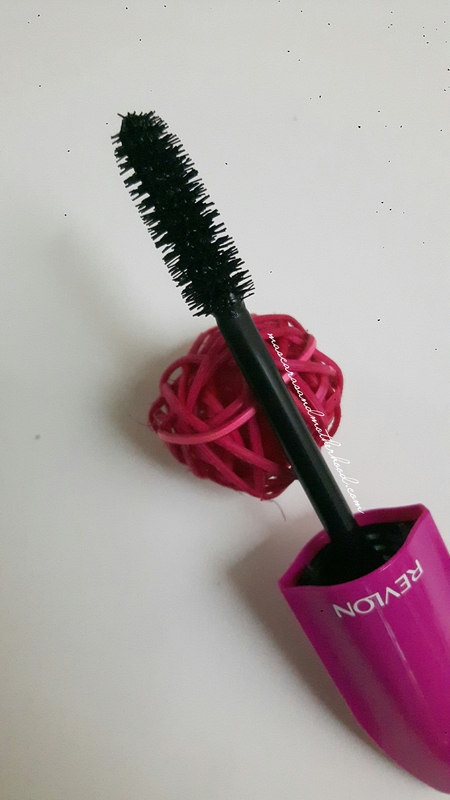 Interestingly, the bristles (or mini brush, depending on the mascaras) matched the colour of the outer packaging so in my case, red Revlon Power Mini Brush™. Personally, I find this the most useless feature of any mascara. Honestly what is the point of having a coloured brush only to be dipped and darken by the product and leaves you no chance of seeing the red (or green, or blue, etc) at all? No, please don’t suggest me to wash off the brush just to ensure whether my mascara brush is, indeed red because seriously? Who in their right mind would do that?! 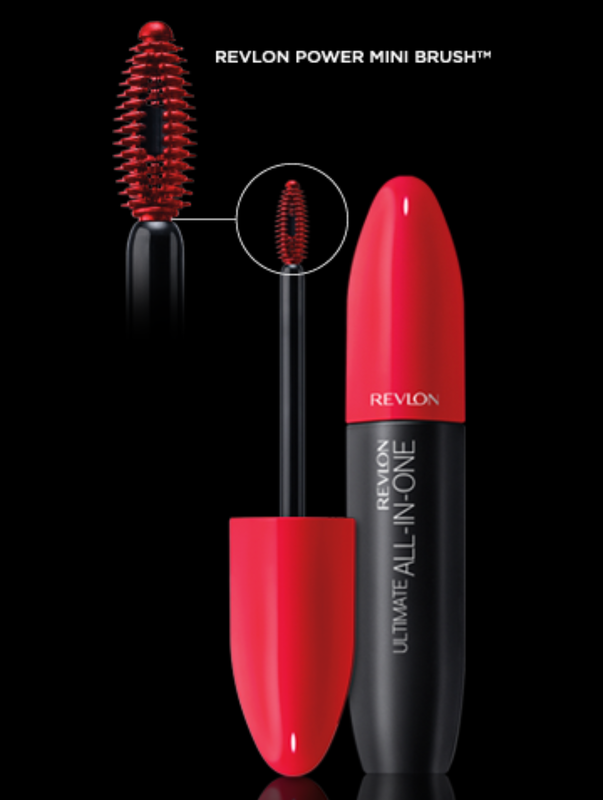 As a conclusion, REVLON ULTIMATE ALL-IN-ONE mascara is good enough for definition, adding a bit of volume and offers intense color (of Blackest Black for me). However, it doesn’t provide lengthening effect nor lift my lashes, especially with two of more coats so if you have straight lashes, you may need to curl your lashes prior to applying this mascara. If you have used this mascara, or any other from this range please let me know what you think. Perhaps you could suggest me the other four mascaras I could try next time? Do let me know. Till then, enjoy this festive month!